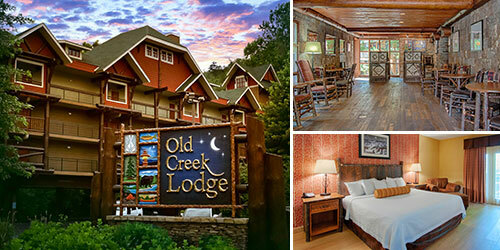 Experience Downtown Gatlinburg in true Smoky Mountain style at the new Old Creek Lodge, with balconies over the river, free breakfast, and beautiful hardwood flooring. Redeem this coupon for $10 off your stay! *Not valid on holidays or special events, or in combination with any other offers.